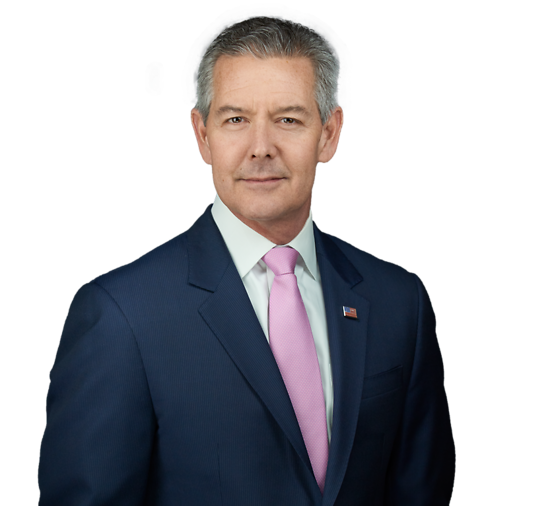 Jeffrey O'Hara is an experienced litigator who, as of March 2019, has handled approximately 80 jury trials with 63 verdicts in a wide array of subject areas. A Certified Civil Trial Attorney since 1999, Jeff focuses primarily on defending casualty cases involving large exposure, catastrophic events. He has served as panel counsel for major national insurers as well as for a publicly traded franchisor. Jeff is a four-time recipient of the "Bullseye Barrister" distinction for outstanding trial service from a Fortune 100 national retailer (December 2007, July 2009, May 2010 and July 2013) and has been named to The International Who's Who of Franchise Lawyers. Jeff has also been a member of the American Board of Trial Advocates (ABOTA) since 2003, attaining the current rank of Advocate. Jeff is a member of the ISOB (2015 to present), the FDCC (2011 to present), the IADC (2004 to present) and DRI's Trial Tactics Steering Committee (2003 to present). He has been accredited by the Department of Veterans Affairs (VA) for the preparation, presentation and prosecution of claims for veterans’ benefits (March 2019 to present). In addition, Jeff served as a member of the legal committee for USA Triathlon and was the Vice Chair of the Board of Directors for the 2014 Special Olympics USA National Games. Rattner v. Chubb National Insurance Company, Eastern District of Virginia, Opening Demand - $11.5 million, Final Offer - $0, 6 days of trial – policy declared void per fraud/concealment and intentional acts provisions, verdict of $945,000 on counterclaim. Speaker, "Protecting the Value of Your Business"
Speaker, "Catastrophic Event, Devastating Exposure: A Unique Approach to Fixing the Worst Problems,"
Speaker, "The Ripple Effect – Employee & Public Safety,"
Speaker, "The Nuts and Bolts of TBI Claims,"
Speaker, "The Anatomy of a Large Exposure Claim,"
Speaker, "Litigation Lessons from Little League,"
Speaker, "Planes, Trains, and Automobiles,"
Speaker, "Complex Medicine for Trial Lawyers,"
Quoted, "Did a Great Falls Doctor Set Her Mansion on Fire?" Case Cited, "Split N.J. High Court Nixes Class Certification In TGI Fridays Drink Prices Suit"
Quoted, "Hotel Cleared in Pool Incident"